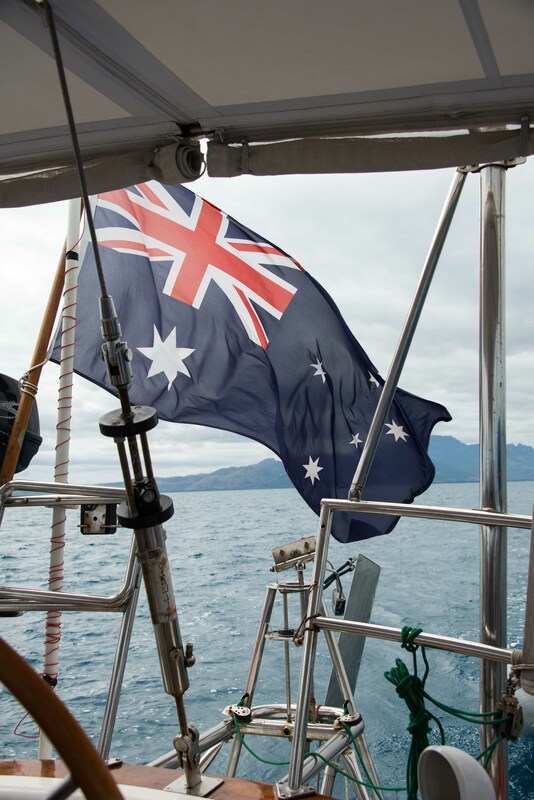 on a two-week sailing adventure around the Fijian islands. This is one reason to visit Fiji but also to catch up with my very good friends, which I haven’t seen in an age. After a fleeting 6 days in Australia organising roof repairs and catching up on doctors’ appointments, I finally wait at the Brisbane Airport gate for my Virgin Australia flight to Fiji. The announcement advises the flight is delayed. Great! This is starting to sound like my painfully long flight of 7 days ago, from the UK to Australia on Cathay Pacific. Although a tad annoyed as the short 3.5-hour flight to Fiji is about an hour late taking off, at least the service made up for the delay. With a light meal served and a row to myself, I can stretch out and relax. The flight arrives at Nadi airport, which is on the western side of Viti Levu (main island). Nadi’s airport is under renovation, so a bit of a mess but staff are super friendly and welcoming. As it’s Sunday, unfortunately local buses are not operating or are infrequent. Not to worry, I managed to barter a trip on a private minibus going to Port Denarau (Denarau Island) for only FJD$5. Denarau Island is connected to the ‘mainland’ via a small bridge. The driver is so friendly, always chatting and laughing bearing a sincere wide smile – just gorgeous, and a lovely warm introduction to Fiji. Back to my minibus driver chauffeuring me (as that’s what it feels like) to my final destination…he is great! Providing me with entertainment whilst driving through the island, pointing out many flashy homes owned by Australians and other ex-pats; and also 5-Star resorts, boutiques, expensive restaurants, and cafes. He doesn’t seem to resent this opulence (not openly anyway), just points everything out in a matter-of-fact manner. Although Fijians came from Melanesia to these islands some 3,500 years’ ago, understandably, there is also a heavy Indian influence. This can be seen in the many diverse faces around Fiji and stems from Fiji’s British colonial rulers (1874 – 1970). Indentured labourers (Girmitiyas) were brought to the islands to work on Fiji’s sugar cane plantations, for the Europeans. 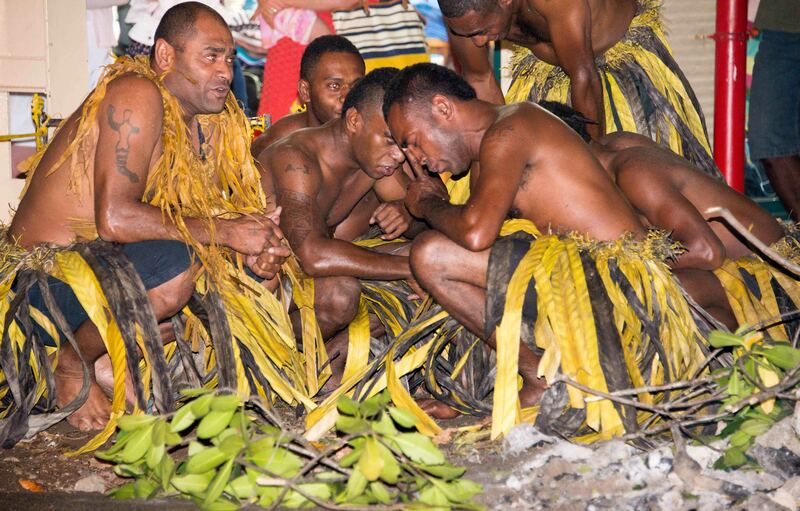 Fiji is also a melting pot of descendants from people of mixed races: Chinese and Pacific Islanders. Although most speak Fijian and Hindi as a first language, English is also widely spoken. Everyone seems more than obliging to help a lost tourist – not that you can really get seriously lost. 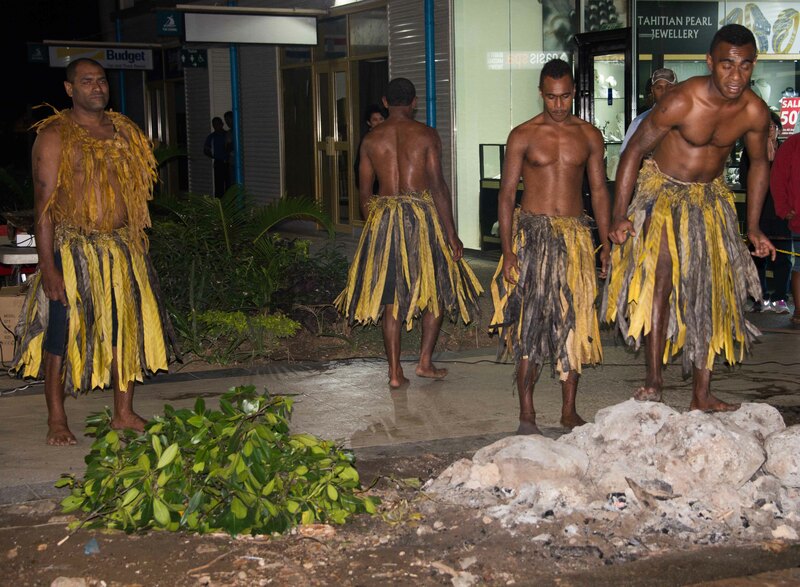 Denarau – psyching up for the walk on hot coals! Easy to remember and speaks volumes, is the universal greeting for hello: Bula. You hear this greeting the instant you set foot on Fijian soil. Bula is also used to ask ‘how are you’? 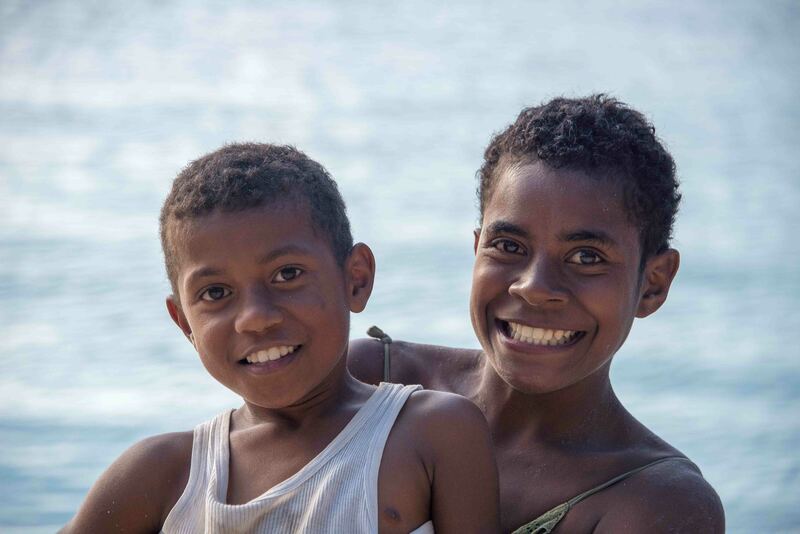 Pick up the habit of saying Bula and you’ll feel right at home here, with the wide smiles returned from the locals. Tourists and foreigners are catered for and accommodated nicely on this very touristy island. Tourism is Fiji’s mainstay so all creature comforts are provided…relax in style. 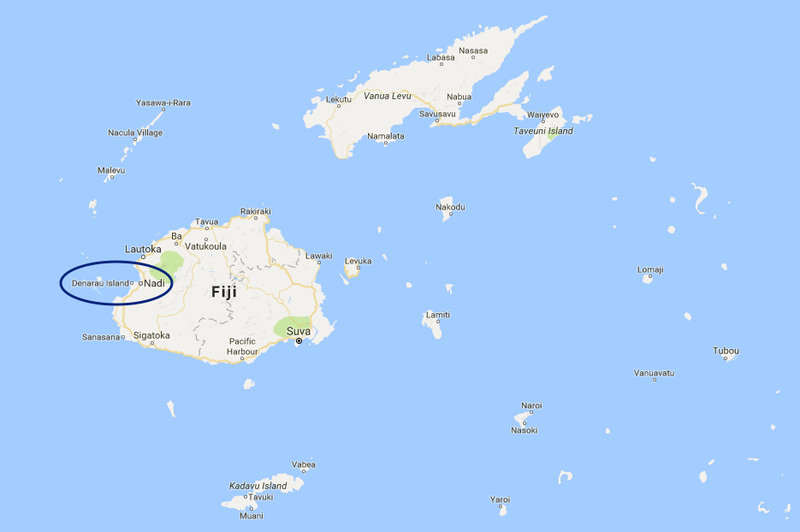 Although Fiji is an island in the South Pacific Ocean, when you go to a different island within the Fiji group, Nadi (pronounced “Nandi”) is always referred to as the “mainland”. This seems kind of weird but understandable I guess. Many restaurants and cafes grace Denarau’s waterfront, as do ritzy 5-Star hotels and flashy boats. You are very spoilt for choices here but most are expensive, even by Australian standards. Do stop off and have a great coffee or a deliciously refreshing green coconut (Mbu) juice at one of the many cafes in Denarau. Indigo Indian and Asian – Offering authentic Indian food at very reasonable prices, go with a hungry appetite as portions are quite substantial. Service is also very good. Lulu Bar, Cafe, Restaurant – Serves yummy food at average prices for the island. The Sashimi is super fresh, very tasty, and quite authentic – as you would expect on an island. Sadly, there is just not enough of it served on your plate to warrant a meal, so you definitely need more plates. A quick shop in one of the supermarkets, all seem pretty expensive, then on to my first real Fijian market experience, for some serious vegetable bartering. The supermarkets on the island stocks many Australian products but at exorbitant prices. If you’ve read any of my other blogs, you’ll know that regardless of what country I’m in, I absolutely love local markets. Karel, my long-time friend, host, and co-owner of the boat is amazing at bartering. And posses bartering skills that leave me for dead! Although quite large, the market in Nadi is not too dissimilar to markets in Asia. One difference is that there are not as many choices on offer here as Asian markets. Also, much of what is on offer in different stalls is the same. Apart from carrots and celery, most vegetables are grown locally on the island so produce is quite fresh. With the boat fully provisioned, it is finally time to set out on the long awaited sail for a couple of weeks. Visit my Nilla’s Photography Galleries for more images. More travel posts at my Image Earth Travel site. It’s getting harder and harder to find those places, but I’m having fun trying! What a wonderful post and amazing shots! We visited Fiji 15 years ago and loved it – these pictures brought back some great memories! I wonder if Fiji has changed much in 15 years…would be interesting for you to return. Then again, sometimes, it’s better to remember a place as it was as changes aren’t always for the best, I’ve found. Yes, there are a few places that we are not sure if we would be best going back to or just keeping the memories we have. Thailand is one of those places as we used to visit a lot, around 20 years ago, and now we hear so many stories of massive resorts and crazy full moon parties – wouldn’t want to ruin the memories we have of the untouched Thailand we visited! Can fully understand about Thailand. Travelled there in 1985, 1989, 2004, 2014, and again this year for 3 months. I’ve seen a lot of changes and not all for the best; it’s a very different place now. Cool! They do indeed but I saw many gorgeous Fijian smiles. It was a great trip, especially catching up with my great friends, albeit a little too short! Thank you Louise! I have so many to upload yet and still about 9 months’ behind as still on the road since March 2014. Are you still based in Milano? 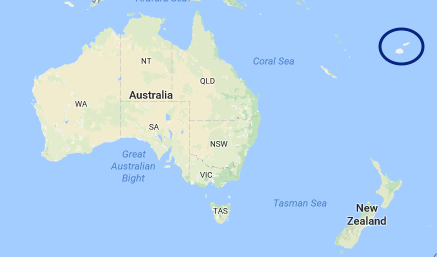 or near it? I wasn’t in Milano. I’m in Southern Italy: Cosenza, Calabria where the people are warm, food is wonderful, and scenery is gorgeous!